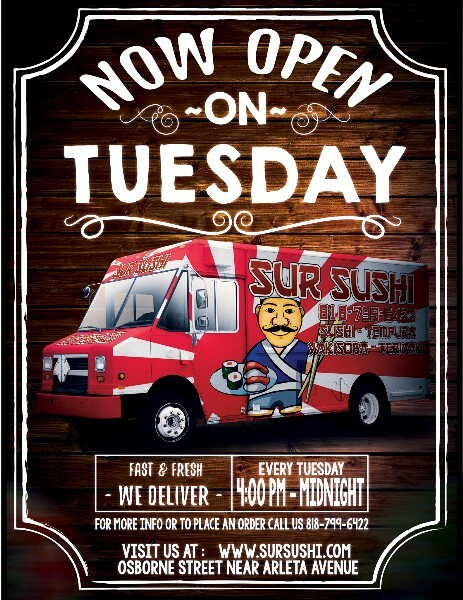 sushi food truck established in 2016.
and delicious sushi at truly affordable prices. Looking to satisfy your hunger for a delicious meal? Can’t decide what to have for dinner? Thinking twice about stopping at a food truck? 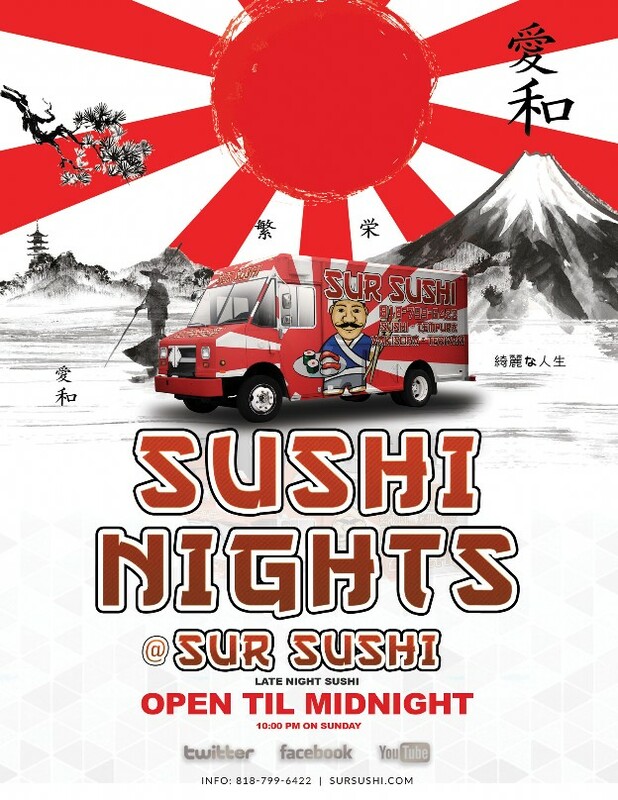 Our customers will tell you that you can't go wrong with Sur Sushi. Check out our reviews on Yelp, where we have maintained an impressive five-star rating! We invite you to stop by and experience our unique take on some of your favorite sushi dishes. 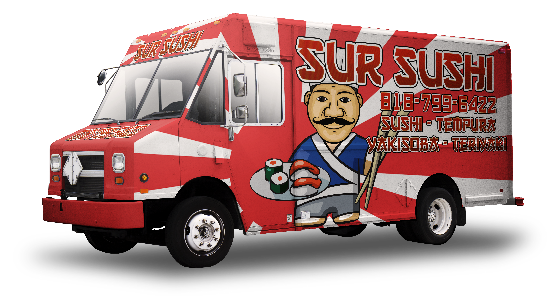 Come join us us Tuesday through Sunday, as the Sur Sushi Truck is available Tuesday on Osborne Street or Wednesday through Sunday on Plummer Street. We are open late! See the Google maps below for directions. At Sur Sushi, you will receive friendly service and a casual dining experience in a fresh, outdoor atmosphere. In a rush? Give us a call at (818) 799-6422 and we will have your food ready when you arrive. If you cannot come to us, we can deliver the experience directly to you on most days. Sur Sushi... The best thing between two chopsticks! If you can't get to us, we deliver to you!